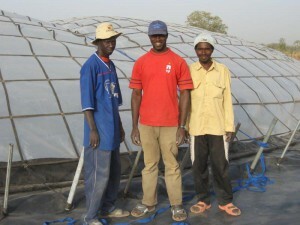 Early 2007 we started our first water shop in Sibanor, the Gambia. This first shop was based on the business principles and technology we developed to desalinate water using the WaterPyramid. It worked very well and we won the Market Place Development Award of the World Bank. The pictures hereafter show how it all started. Since then many things have changed: new buildings were added, technologies developed and tools were professionalized. 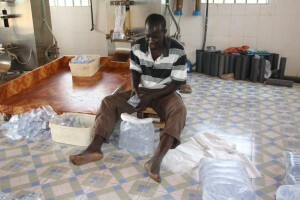 But the financial sustainable water shop remained: the local entrepreneurs kept on selling water, became fully financial independent and now want to expand their business even further. We found that if fundamental basics are chosen correctly and if local entrepreneurs are trained sufficiently, (water) activities can be set up providing high quality drinking water to local people. 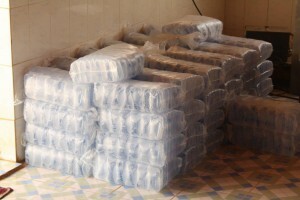 It is even possible to repay back the money initially provided for the set-up of the water shop. Want to know how that is done? Just let us know.